Infuse your live acoustic sound with some studio magic. 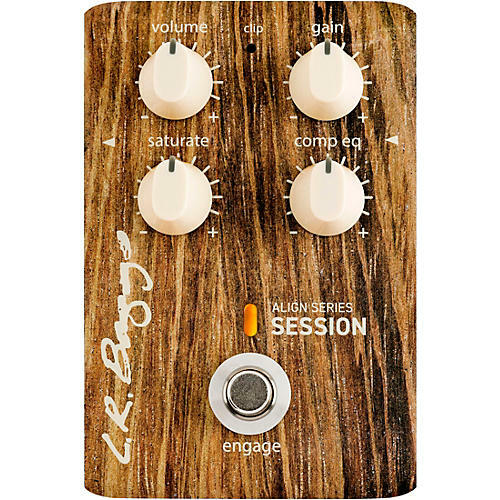 Inspired by the LR Baggs Handcrafted Video Sessions and the company's experience in some of Nashville’s great studios, the Align Session brings the company's signature studio sound to your live rig. Session circuitry enhances your acoustic pickup and imparts the rich sonic character that you’d expect from an experienced audio engineer using some of the world’s finest studio gear. The engineers captured this studio magic and put it into a compact, easy-to-use acoustic pedal that will transform your live sound.